Out of the rotting abdomen of the survival zombie subgenre clawed Isaac Marion’s novel, Warm Bodies, which provides a vastly different take on what has been a very hot trend in pop culture over the last ten years. The story contained within featured many familiar tropes, such as brain eating, a post-apocalyptic setting, and plenty of gunplay, but instead of dwelling on the familiar it explored new territory and flavored the more familiar elements with a more than generous dash of humor. The film adaptation seems perfectly timed, arriving ten years after the trifecta of undead media (28 Days Later, Brian Keene’s novel The Rising, and the start of the comic book series The Walking Dead) reanimated the public’s interest in zombies and just a year after research showed that zombies were a 5 billion dollar industry. While the trailer may give the impression that the film is merely a ghoulish riff on the Twilight franchise, the viewer will be pleased to find that the story is so much more. The film begins with R, in a brilliant performance by Nicholas Hoult, a zombie wandering an airport with little memory of the life he led before. His narration is both funny and poignant as we learn about the many facets of his un-life. Humans led by John Malkovich live in the city behind a giant wall. We learn about the “bonies,” skeletal creatures of pure hunger that all the zombies are doomed to devolve into. His world is turned upside down when he meets Julie Grigio, a human from the other side of the wall, and he takes her home with him. His relationship with her starts to change him back into a human again. His heartbeat returns. He starts to speak again. And it starts to happen to the others. The problem for Julie and R is convincing the other people that the zombies are becoming human again. To make matters worse, the bonies aren’t too happy about these changes either. What makes Warm Bodies work so well is how the humor is delivered. Never does the script stray too far into self-parody. Instead the humor is cleverly timed and well-informed by the genre’s components. Also there are some cool, original concepts explored here that would work just as well in a straight-faced survival horror vehicle. The bonies, in concept and execution, are pretty scary. I also liked how eating of the brains gives zombies the ability to experience the memories of the people that they eat. This film is bound to have its detractors. Survival horror loyalists would no doubt be perfectly content if every zombie film played out like a stage in the Left 4 Dead games. However, if you’re looking for a fresh take on zombies, Warm Bodies is loads of fun and provides impactful commentary on what it means to be human. Instead of wallowing in the bleak, End Times mentality normally seen in these types of stories, it dares to bring positivity to the discussion. 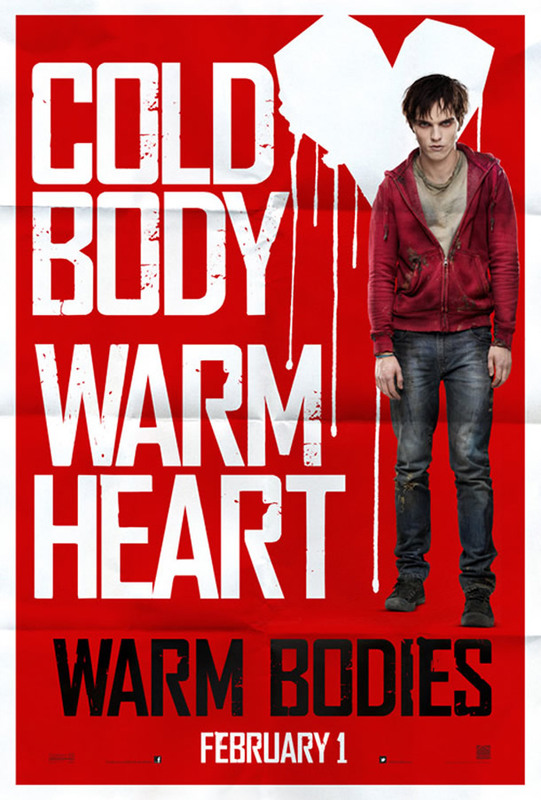 Warm Bodies is now playing in Philly-area theaters.